If you are sharing worksheets on a classroom website scrolling through hundreds of links can become overwhelming for the visitor. 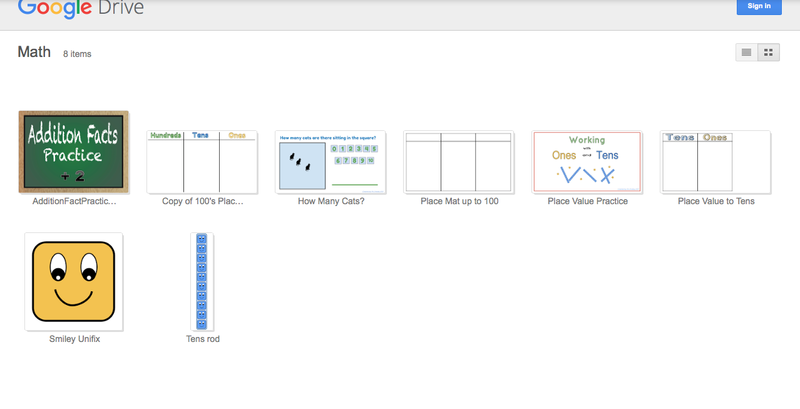 Why not take advantage of using Google Drive to share the worksheets? This will allow the teacher to share a whole folder for the month rather than separate links to each individual document. The visitors can view all Microsoft Word, PDF, Google Documents along with other file formats without installing extra programs on their computer. Teachers Google Slides offers a way to organize YouTube Videos and minimize the possibility of students viewing something inappropriate. It is very easy to embed a YouTube video into a slide deck. Below this Google Slide Deck sample is a list of reason why to use a slide deck as an organized way to share YouTube Videos. The slides can be reorganized easily from year to year by simply dragging the slide and placing it in a new position. You can use speaker notes to type reminders for sections of the movie you’d like to point out. Individual Slides can be shared with students who are absent. Each slide has its own unique web address. A Google Form can be linked to the slide as a student assessment tool.